I caught Sparks in two very different shows back in April. I hit up their sold-out performance at Hollywood Forever, a masonic mausoleum in Los Angeles, where Ron and Russell Mael did a full-length show but alone with Ron on keyboards and Russell on vocals. It was slightly amazing to see them in such an intimate venue with people who were truly fans. I got caught up on some of their recent work like the addictively catchy “The Rhythm Thief” from Lil’ Beethoven. Well, I say recent although that album is now 10 years old. I went to the show exclusively to hear selections like “The Number One Song in Heaven,” which also did not disappoint. I next saw them at The Coachella Valley Music Festival, where some people really loved them, some people were puzzled and some were just hanging out. 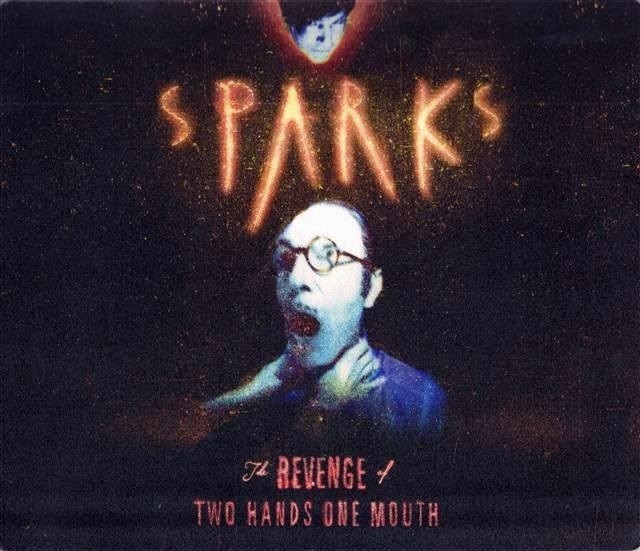 When Sparks play at the 9:30 Club this Sunday, Oct. 27, I suspect you’ll find more of the people who really love them, as this is a rare area performance by the synthpop duo. They play more in Europe, where they are much more popular, and in Los Angeles, their hometown. In advance of the show, the 9:30 Club interviewed them for its blog, and it sounds like the gents have a good show planned for Thursday. And that they are working on material beyond their recent effort to score an independent film in development, The Seduction of Ingmar Bergman.